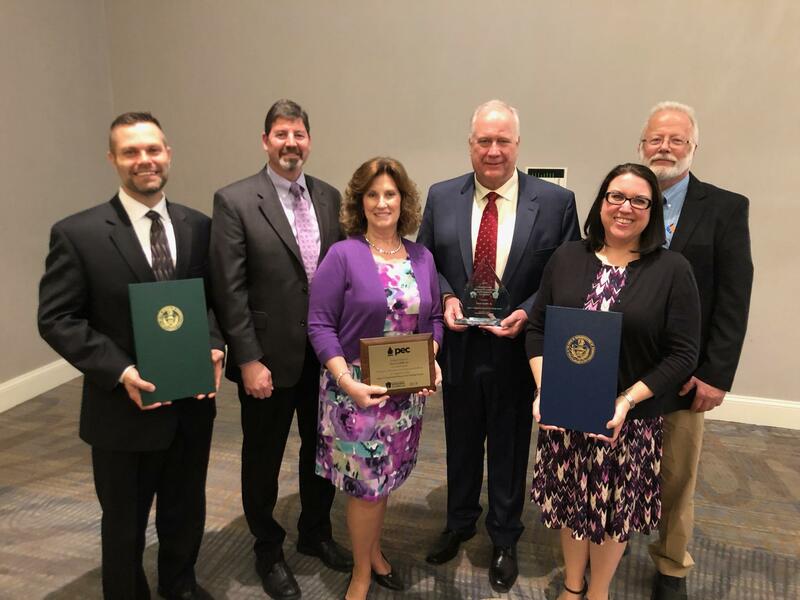 The Lego-V CNG Fueling Station at Seneca Landfill has received the 2019 PA Governor's Award for Environmental Excellence. The Governor's Awards for Environmental Excellence are awarded each year by the PA Department of Environmental Protection. These awards highlight the best in environmental innovation and expertise throughout the Commonwealth. Each year the award is provided in recognition of businesses and organizations with projects ranging from cleaning up watersheds to saving energy, eliminating pollution, reducing waste and more. The Pennsylvania Environmental Council will host a celebration of Environmental Excellence on Tuesday April 16th, 2019 to honor the recipients of the awards. The Lego-V CNG facility has also been featured in Waste Advantage Magazine as a breakthrough and innovation in the industry. The Lego-V CNG Station is a compressed natural gas fueling station located at Seneca Landfill. Gas emissions from Seneca Landfill are captured and converted into a usable form of gas, which is being used to power the Vogel fleet of CNG vehicles (as well as other public and private vehicles). The idea for the CNG station came from the Vogel’s desire to be fully integrated and self-sustainable, while also achieving economic and environmental benefits. The majority of the municipal waste received at Seneca Landfill is delivered to the facility by vehicles owned and operated by Vogel hauling companies. Seneca Landfill is centrally located to all the Vogel hauling companies which operate a fleet of approximately 220 trucks, 28 of those being CNG trucks. The goal has been to continue the process of fleet conversion from gas and diesel fuel to CNG (compressed natural gas). The landfill gas is currently recovered through a system of landfill gas extraction wells populated throughout the landfill. The gas is processed through a variety of systems removing contaminants and moisture with the methane leaving the plant as clean biogas. A CNG fueling station at Seneca Landfill for both public and private use provides the opportunity for smaller, local haulers to utilize an established CNG fueling station, thus making the opportunity for fleet conversion to CNG for local haulers and other fleet operators in the area more viable. 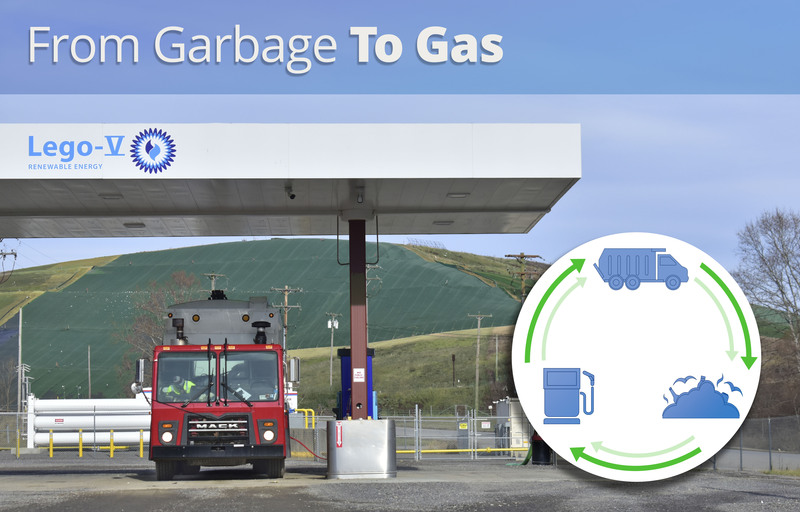 The siting of a CNG fueling station at the landfill closes the loop and allows Seneca Landfill to provide energy to power the vehicles that deliver materials to the landfill and enable the ultimate recovery of an alternative and clean energy source from what was once categorically considered waste. Our sister companies Seneca Landfill and Vogel Disposal are grateful for the recognition Lego-V has received.